SHABRAS our hard group 4 candidate is leading the way, with a treated yield of 106% control means over a 5 year mean. 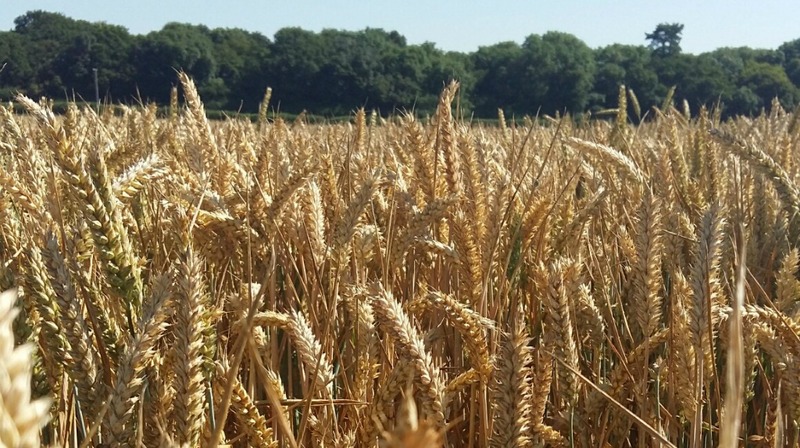 SHABRAS combines very high yields with a high specific weight and good disease resistance including a 6 rating for Septoria tritici. Our second candidate SAVELLO is a soft group 4 and it is also up there in terms of yield sitting in the top 3 new soft feed candidates with a treated yield of 104% control means over a 5 year average. Our recommended varieties are also performing well, with REFLECTION up there in the top 5 yielding hard group 4 winter wheats (5 yr mean). Despite having higher levels of Yellow Rust than we have seen before in untreated trials, REFLECTION’s on farm performance has been excellent so far, with many growers reporting 10t/ha or more. Our new interactive map is live on our website, showing these high yields are being achieved across a wide regional spread. Let us know how you have got on with REFLECTION this year by tweeting Syngenta UK or sending us a direct message. High specific weight has also been a characteristic of REFLECTION that has been well received this season, with reports of 78kg/hl from some growers, and OWBM resistance is always a plus point for WW varieties. GRAHAM is our newest variety to be recommended, and its fantastic disease resistance is its distinguishing feature. With a 7 rating for Septoria tritici and 7s and 8s across the board for both rusts and mildew, GRAHAM is the perfect choice for those looking for a more resistant variety.